New Year’s Eve, and vodka-sozzled Zhenya Lukashin departs Moscow in a Tupolev Tu-134. Zhenya is the central character in the 1976 soviet romantic comedy The Irony of Fate, or Enjoy Your Bath! (Ирония судьбы, или С лёгким паром!). Zhenya has left the snowy concrete jungle of Moscow for the identical snowy concrete jungle of St. Petersburg. The brief external shots of the aircraft in flight, with their distinctly dodgy special effects, have a certain magic about them. Though his destination maybe have been as dire as his point of departure, and his journey a soporific flight of drunkenness, the aircraft (at least the exterior) itself is decidedly otherworldly. 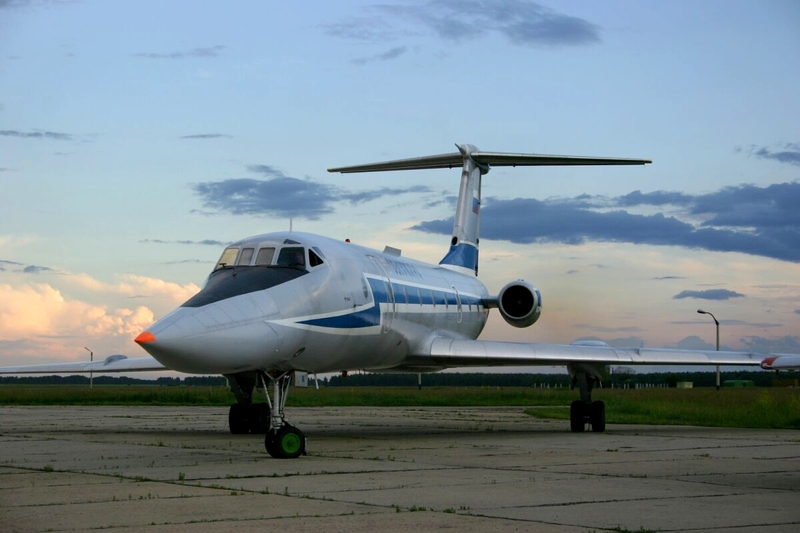 The Tu-134, a twin-engined airliner in the same category as the equally attractive Caravelle. Its racy appearance is largely due to dramatically raked back wings which are set at an even more extreme angle than Britain’s exceptionally fast VC10. The 35 degrees of sweep was a ‘magic angle’ recommended by the central aerohydrodynamic institute (TsAGI) that was also adopted by the Tu-95 bomber. 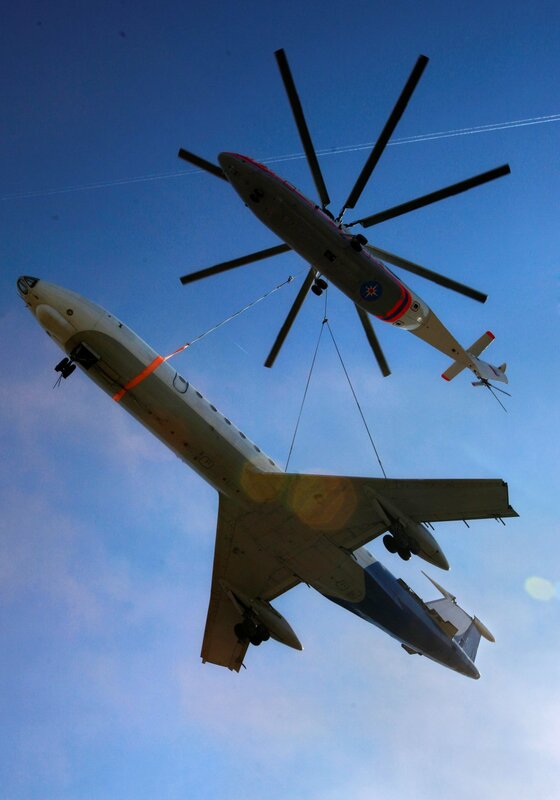 Best of all, the Tu-134 had a drag ‘chute! 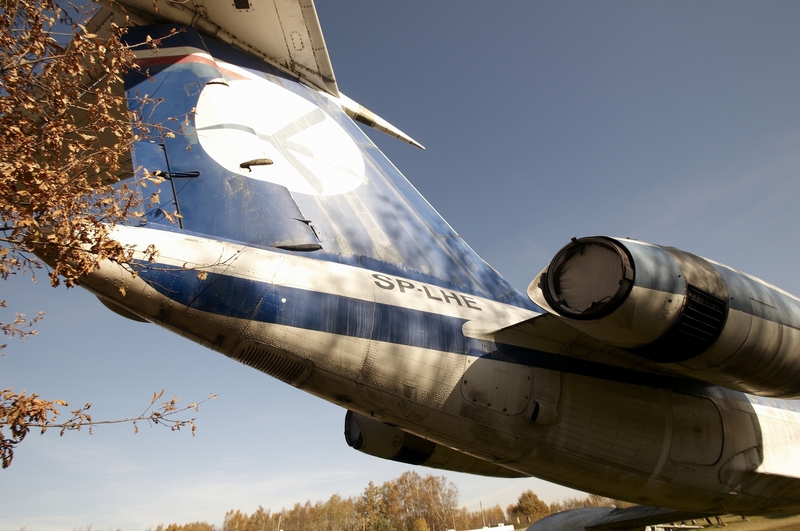 This very unusual feature, shared with its Tu-144 stablemate, was replaced with thrust reversers in later models. The Tu-134BSh variant was fitted with a long pointed nose containing the same radar as the Tu-22M bomber. This elongated nose -not found in a breakfast like Gogal’s, to over-bake a Russian cultural reference-was fitted to train crewmen for the complex bomber, but more importantly it looked fantastic, and not entirely unlike Herge’s Carreidas 160. The Tu-134 was a great aircraft, built in large numbers, far more comfortable and efficient than earlier soviet jetliners. Noise restrictions eventually killed the type (at least for Western operations) though dozens endure the Eastern elements as gate guards, bars and occasional rusting waste in remote locations across the former USSR and satellite states. You should also enjoy our other Top Tens! There’s a whole feast of fantastic British, French, Swedish, Australian,Japanese , Belgian, German and Latin American aeroplanes. Want something more bizarre? The Top Ten fictional aircraft is a fascinating read as is the Top Ten cancelled fighters.